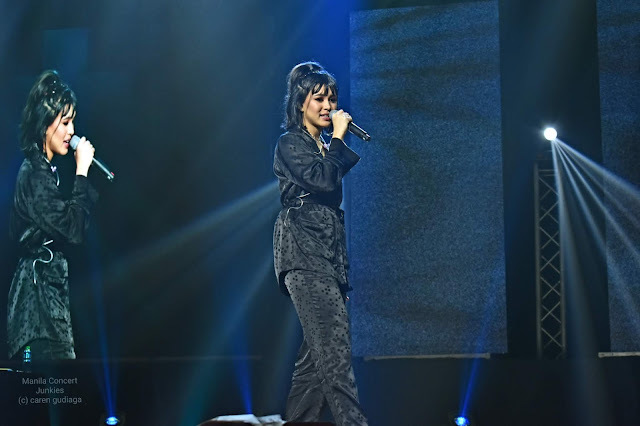 A night full of wonderful memories for 90s fangirls/fanboys, Aaron Carter concert at the New Frontier Theatre (Formerly Kia Theatre) in Manila last November 18 was a success! 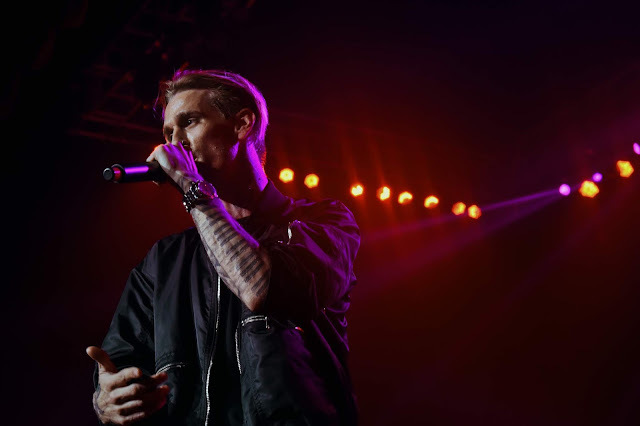 A show that showers love and inspiration, Aaron Carter LØVE Tour Live in Manila made every fangirls and fanboys extremely happy hearing the music that they grew up with and getting up close and personal with Aaron Carter himself. 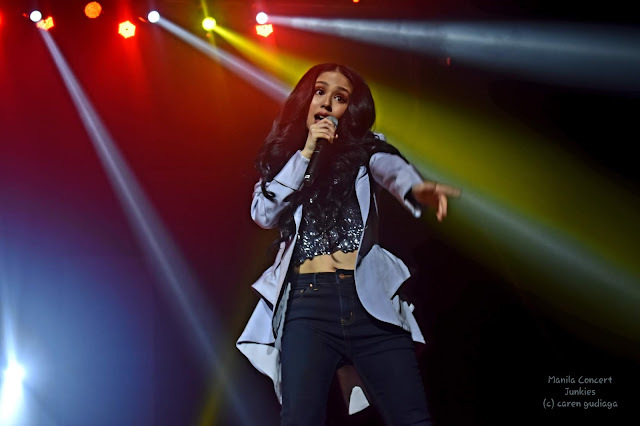 Young singers Claudia Baretto and Jayda Avanzado got the crowd energized before Aaron Carter took the stage. Claudia Barretto sang three songs from her album entitled 'Stay' , 'You' , and 'Finally Found It'. Jayda Avanzado showcased her talents -- singing and playing the guitar as she performed 'Coffee' and 'Text'. Aaron Carter fans go crazy as he opened the show with a remix version of his hit song 'I Want Candy'. It was very fresh, fitting the music of this new generation but still has the spark of the sounds that we loved from the beginning. What his Filipino fans appreciate most was Aaron Carter's support to our local artists. He even had a duet of his main tracks from his "LØVE" album namely "Fools Gold" with Jayda and "Sooner or Later" with Claudia. Apart from his main tracks, he also performed other songs from his LØVE album such as "Dearly Departed" , "Let Me Let You Go" , "Almost There" , "Don't Say Goodbye" , "Seattle Times" , "What Did You Want to Say" and "Hard to Love". 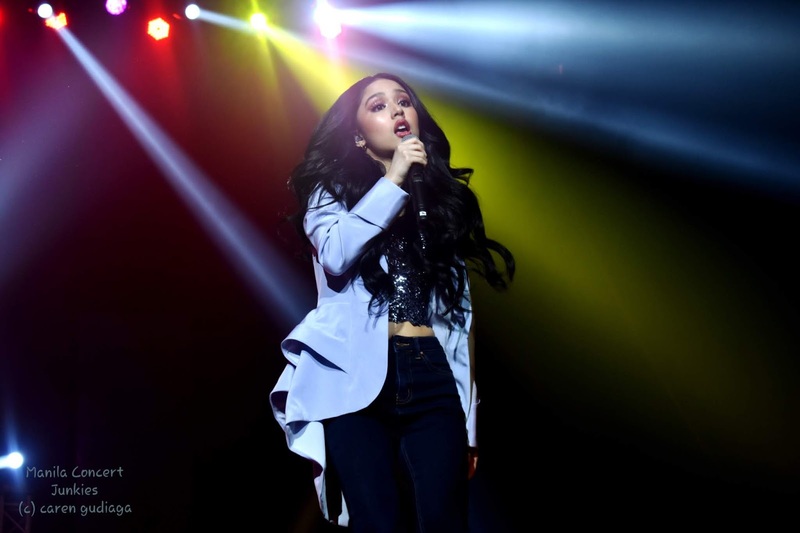 Also, the audience feels awe and nostalgic as they heard more of his early songs like "To All the Girls" , "Bounce" , "Aaron's Party" , and "I'm All About You". It's like a trip down to their childhood memories. Aaron got a loud cheers from everyone as he shows his flexibility by doing a continuous back flip. During his ment, Aaron shared his inspiring story to his fans, motivating them not to give up on their selves and their dreams. He said when he was starting his new music all the record label he contacted declined him, saying Aaron Carter is dead. He haven't done any music in 10 years and in that 10 years he studied producing music. Right now, he is close to finishing his master degrees in music. “I wanted you guys to know that I'm the real deal, okay? I grew up in this industry at six years old and next month I'm gonna be thirty one years old. So, there was a lot of ups and downs you know that molded me into the man that I am today and if it wasn't for you guys believing in me when no one else did. Why? Why would I do it? Why would I do it? I did it because I wanted to impress you. I wanted you to know that I am a real deal. I'm also an artist. A real one. I don't need anybody else to make my music for me. I don't need anybody else to write my songs for me. I can do it myself. And that's exactly what you are hearing right now. This real music. I did this myself okay? when everybody did not believe in me, okay? So, I released this song on my own, on my own record label called Rakkaus Records, okay? Rakkaus Records is mine. I released the song 'Fools Gold' and then you know what happened? In an hour, it had a million streams and every single record label that told me 'no' called me and said 'will you please sign a deal with us?' 'would you please?' and I said 'no, thank you. click”, 'no, thank you, click'. Oh you! No, you turned your back on me 'click' and then Sony Records calls me and I say 'yeah, sure. I'll do the deal'. So, I got signed to a major record label after every label told me I was done. Moral of the story is NEVER GIVE UP ON YOURSELF, okay? EVER! Alright? No matter taking me 10 years. A decade to do it. Then, I'm back! and that is all that matters." - Aaron Carter said. Concluding the night, Aaron Carter gave us a glimpse of remixes from the new DJ E.P. that he will soon release. Aaron Carter LØVE Tour Live in Manila was produced by by KBeam Events.